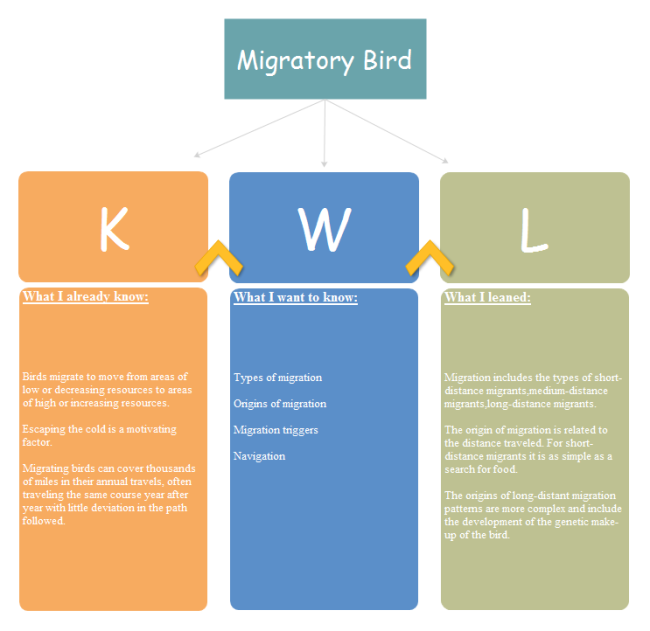 Description: A free customizable KWL chart about migratory bird is provided to download and print. Quickly get a head-start when creating your own KWL chart. It helps students construct meaning from what they read and help them monitor their progress toward their goals. Free download KWL graphic organizer templates at Edraw Template Gallery. Explore suitable templates and customize them in your own style.